In the north of Ardèche, Annonay, hot-air balloon birthplace, propose balloons flights in its invention land. Let be seduced by a creative and natural trip in the heart of our landscapes, from the top… An unforgettable moment ! Annonay is the Rhône-Alpes' hot-air balloon capital. Where better to take your first trip up in a hot-air balloon? Soak up the beautiful Ardèche countryside, the Alps, vineyards and orchards just an hour from Lyon, St Etienne and Valence. Child: 155 € (8 to 18 years). 3-4 people. : € 165 / pers. 5-18 people. : € 155 / pers. From April 1st to June 30th and September 1st to October 31st, every fridays, saturdays, sundays and bank holidays. From July 1st to Aug. 31st, open daily .  "Annonay, hot-air balloon birthplace" association propose hot-air balloon discovery flight, by dynabulle (motorized balloon) and capitve flight (fastened balloon). Discovery balloon flights or captive flights (the aerostat is moored to the ground and there are repeated ascents to an average height of 30 m,) with the historic association "Annonay's balloons". Subject to favorable weather. Postponed in case of bad weather. On demand. Soak up the warm atmosphere with MONTGOLFIÈRES & Cie on an unforgettable 3-4 hour adventure. Fly over the northern Ardèche and Annonay region with its colourful landscapes. Small group flights in balloons for 2-8 passengers. Details : - Welcome to the Deomas Castle Parc, meeting around a breakfast - Last checking about the weather, briefing about your safety & distribution of roles if you want to inflate the balloon. 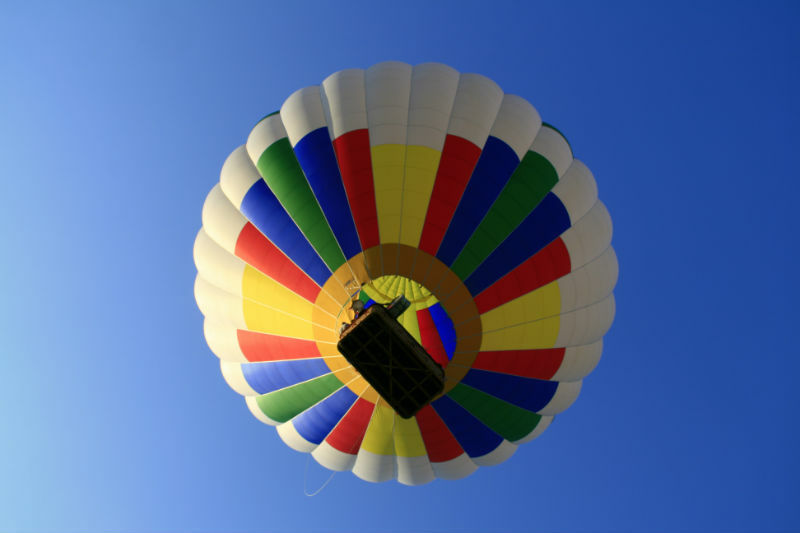 - Materials making & inflating of the balloon - Take-off for an one-hour journey, fly over the valley of the North of Ardèche - When we land, we're going to celebrate the fly with a champagn or juice glass, pastries & a diploma ! Child: 165 to 169 €. All year round, daily between 9 AM and 7 PM.